Ecumenical Dialogue surveys the historical and theological foundations of the ecumenical movement and the role of dialogue in the churches' commitment to manifest their unity in a full and visible way. Angelo Maffeis traces these foundations as they emerge in multilateral and bilateral settings of interchurch encounter. Special attention is given to conciliar ecumenism and to the dialogues to which the Roman Catholic Church is partner. 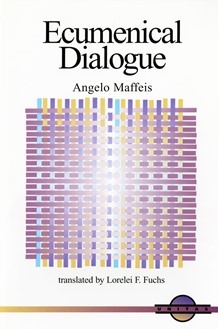 Delineating the nature of dialogue and shaping its structure, Maffeis considers the conditions for authentic dialogue and an ecumenical theology that sustains the reception of ecumenical findings. Ecumenical Dialogue includes a bibliography of select sources pertinent to the ecumenical movement in general and ecumenical dialogue in particular. Angelo Maffeis is a member of the Churchs Commission on Faith and Ecumenical Affairs as well as a member of the International Catholic-Lutheran Dialogue. This brief volume is a significant contribution to ecclesiology and to the systematic theological reflection on the ecumenical developments of the twentieth century. Maffeis is a master of his material, a sure-footed guide through a large and ever-expanding body of literature and ecclesial experience. Ecumenical Dialogue provides a brilliant treatment of the historical and fundamental motivations for the ecumenical movement and articulates the principle participants with their corresponding positions.